Stephanie Butterfield has found her niche helping seniors and juniors with their technology phobias, questions and basic knowledge one-on-one and in their homes. Children like to give their parents and grandparents iPads and laptops to keep them connected, but without teaching them how to use it, it sits there. “It’s a language they don’t know. They’re scared of it, but they can do it,” Butterfield said. Butterfield owns Grammy Geek, a place for seniors to turn when they have questions with their computers, iPads, tablets or any other piece of technology. “I ask them to tell me what they like and why, and I’ll show them what the device can do for them,” she said. “I was always ending up helping family and friends. I’m going to start my own business when I retire,” she thought. She had been dabbling in the business for the past three years, but when she retired earlier than expected, went to full time last spring. For 17 years she worked for a company that worked with developmentally challenged adults. “I did all of the IT work there. I knew more than the others and it ended up being something I loved doing,” she said. When she started she always expected that she would add into the business her love of photography and videography. She now takes old photographs and turns them into slideshows on DVD for special birthdays or anniversaries. She also does memorial DVDs for funerals and table top books. 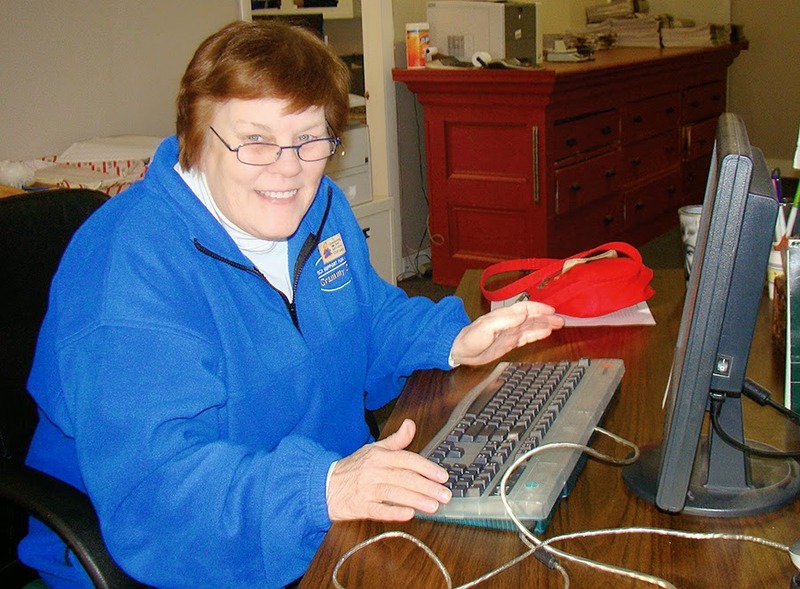 Grammy Geek travels within 40 miles of Bridgton, where she lives. She has regular customers in Gorham and Westbrook as well as Portland, Windham, Raymond and Naples. One of her oldest clients is a 90-year-old man, she said. He just needs to know how to use his technology. Some older people pay for computer help, but then ask her to sit for a cup of tea once she’s there. “I don’t mind,” she said. She does one-on-one support for any device or program. She also teaches classes for larger groups like at a nursing home. In one hour, she can help a customer learn new things. She also created guides to leave with the clients so they have something in their hands to go back and reference. Butterfield fixes Malware, removes viruses and works with Windows 8. “They can have me come in and set it up right at the beginning,” she said, avoiding having to fix the problems later. She also can set up and show a client how to use Skype to video chat with family members, or simply help them navigate around their new operating system. Prices vary by service starting at $50 for a one-on-one 1-hour session. “If you go to the big guy, you’ll pay big bucks,” Butterfield said. “I like being the little guy. I like not over charging and not identifying customers by a number. I like running into them on the street and calling them by name. I think that’s important,” she said. The younger clients are in their thirties. “That’s the gap that didn’t have computers in schools. To live in the world these days, everything is online,” she said. Butterfield said that she knew nothing about computers 15 or 16 years ago. Her son had to write a note for her on how to turn the computer off and on. What a difference a few years makes. “Seniors suffer at feeling [out of place] in a world where they’ve lived full lives with stories of things they’ve done. I have a real passion for them to have what they need,” she said. Butterfield is 64 years old and she knows that her customers are comfortable asking her questions that might seem stupid to someone younger, but to her she can explain the answer in ways that the client can understand. “We have the same reference points that make sense to them,” she said. She gives 100 percent at any job. She’s a member of National Cyber Security Association.